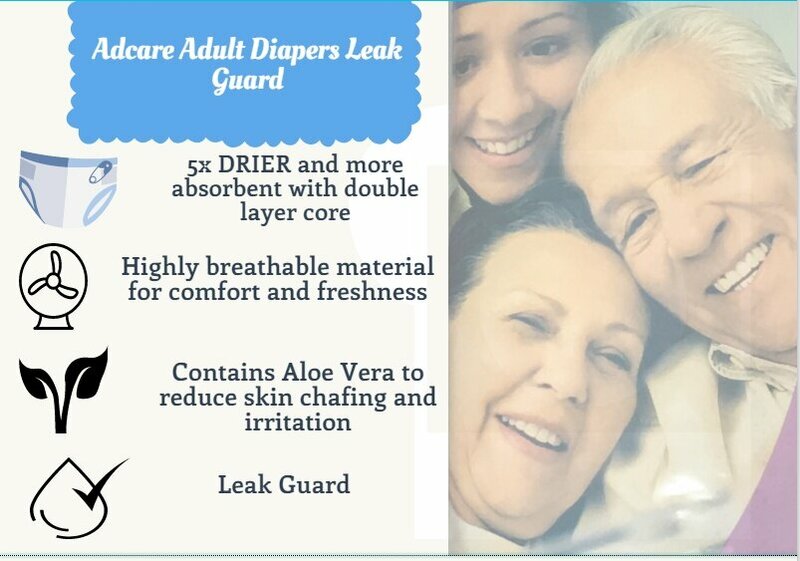 Adcare Adult Diapers has sizes M (12 pieces) with 28”- 43”, L (8 pieces) with with 36”-50” and XL (6 pieces) with 37”-67”. 1. Adcare Adult Diapers are secured with double layers absorbent core to give extra dryness and comfort. 2. Adcare is easy to put on either standing or lying down with the Refasten-able Tape. The Refasten-able Tape allows multiple times of tape applications, easily adjustable for better fit and comfort. 3. It has highly breathable material that releases heat and humidity to keep you comfortable and fresh. Adcare has also the feature of antibacterial and deodorization with aloe vera to reduce unpleasant odor and skin irritation. 4. Adcare Adult Diapers have embossed channels designs to allow even distribution of fluid in the absorbent pad. 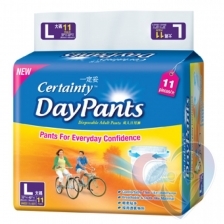 This maximizes absorbency throughout the whole diapers. 5. Adcare also provides a wetness indicator to indicate when to chance the diaper. This provides conveniences for nursing. 6. Adcare has a protective leak guard to prevent side leakage.